For an episode that came so close to catching A, it was really just kind of ok. It was an improvement on last week but it still felt very filler-y to me. At least we know that the last couple of episodes will be amazing and crazy because I have a feeling that almost all of the answers will be revealed during those episodes. At this point, each week we’re simply inching closer and closer to the reveal, but eventually we’re going to get there! I’ll start this week with Aria. She was an interesting character to me in this episode. I loved how she gave Mike some advice and helped him with his Mona problems. Has she always been this doll obsessed because I haven't really noticed it until recently but they're really laying it on thick the past few episodes. I'm also wondering why they felt the need to show us her dialing, but not calling, 9-1-1 before they left to catch Charles. Is it supposed to show that she's growing and not as willing to figure it out themselves and she wants to just let someone else deal with it or is it something more sinister, like her thinking about ruining their plan? 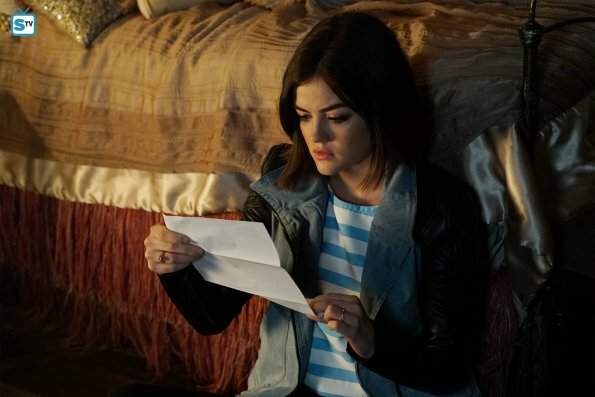 I trust Aria but I don't know, some things she's done recently have been kind of confusing to me. I’m curious about this Arts Scholarship letter she just got that said she’s a finalist for something. Is anything good that happens to them ever truly good, or is it really just A manipulating the situation. I guess we’ll find out soon enough. Along that same line, as much as I wanted to believe Hanna’s scholarship was a nice, good thing that happened to her, I knew it wasn't - it never is. I feel really bad for her and her mom. Though, I do like the idea that that is Charles’ bank account that Alison’s mom was secretly funding for him all those years. I wonder how much she knew about her son. Did she even realize what he was doing to her daughter and the other girls? 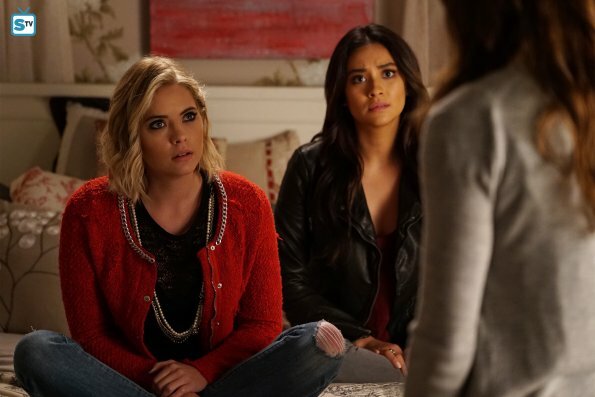 Now that Hanna’s mom has deposited the money, what cost will come with that in terms of A blackmail? What will Hanna have to do to keep that money and her college dreams intact? I can’t imagine Charles or whoever runs that account is giving it with no strings attached. Other than that, I feel like Hanna didn’t really contribute much this episode but she helped find a lot of clues last week about Lesli so I’ll let it slide. Speaking of Lesli, I’m actually really worried about her. I don’t like that she skipped the meeting, in this town that usually only means one thing - you’re kidnapped or dead. I have a suspicion that Charles might have gotten to her and taken her out before she could give them any more information about his time at Radley. Mona didn't seem too upset about it though and I expect more from her, unless she knows something we don't know. 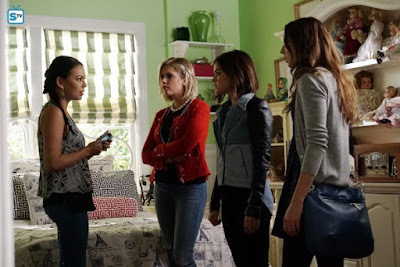 She also mentioned that now she isn't so sure that the A game was stolen from her at Radley. She's changing her story which is kind of shady. Usually, I’m not suspicious of Mona, I feel like she’s earned my trust, but now I don’t know what to think. Moving on to more personal matters, I loved the idea of Mona and Mike’s scenes because I do like them together, but I don’t know if it was the writing or acting that ruined it for me. It all felt far too melodramatic and soap opera-y. I think the scenes could have been more powerful with more realistic dialogue and subtle delivery. But I’m happy that things seem to be all good with them and they finally addressed their storyline, which everyone has been wondering about but the writers seemingly forgot existed. The main focus of this episode was centered on Charles “coming home” for his birthday party. After receiving the card last week and presumably digging up Charles’ grave and finding he's still alive, Alison’s father takes her away from Rosewood for her safety. I loved her line when they got in the car, “He’s alive and he’s coming for us, isn't he?” She delivered it perfectly and it was just the right amount of ominous, setting the tone for the rest of the episode. Her father won't let her tell her friends or warn them, and keeps her locked up in a hotel under his supervision, so she drugs him with sleeping pills and escapes. That was pretty smart of her, the other Liars should include her in their plans more often. I think Mona and Alison could probably figure all this out on their own if the rest of the Liars weren't always in the way and making silly choices. 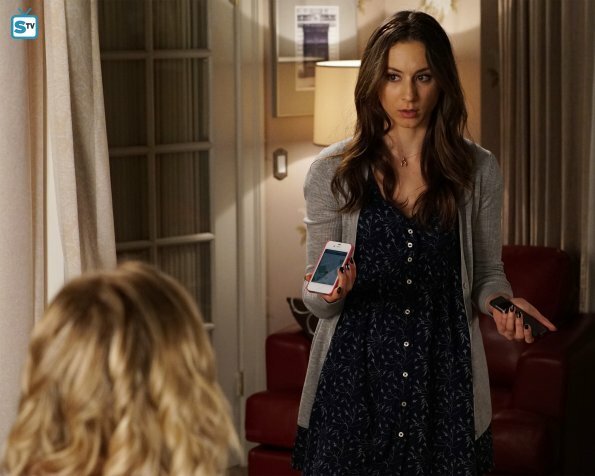 Mona picked Alison up which was an unlikely pairing. Mona says that she knows she owes her more than a car ride, but does she really? Alison tortured Mona for years before she went away so I would have liked to see some character growth from Alison and for her to respond with something like, “it’s fine, we’re even. Let’s just move on and end this, etc.” I was really expecting some type of acknowledgment from them both to just put the past behind them and move on. Maybe they’re saving that for the finale. 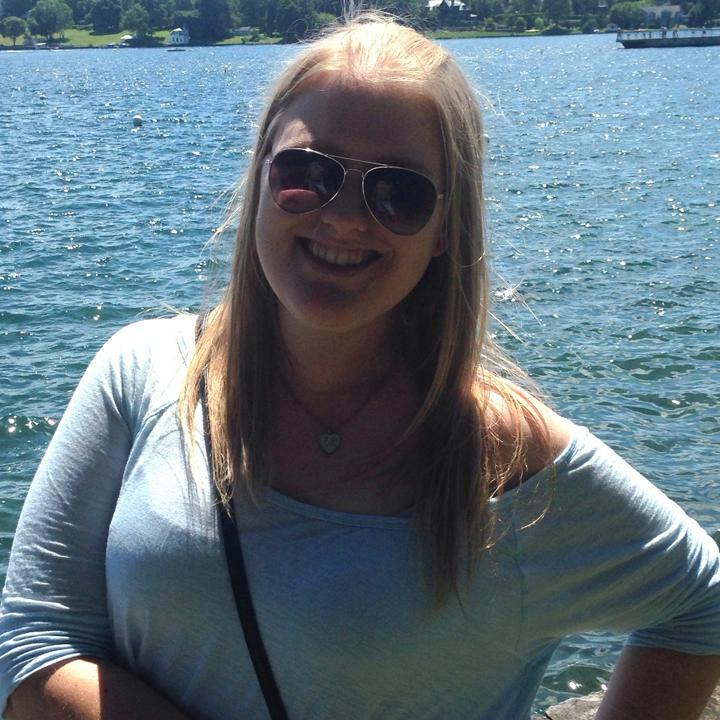 I was surprised that Alison decided to call the police, it was a pretty mature decision for her and it's a good thing she did! What would they have done if the real police hadn't shown up. A could have killed or seriously hurt them all at the rate he/she was going! I feel like this whole situation is going to cause Jason to spiral. His expectations for his meeting with Charles were very unrealistic and he should be thankful the police showed up when they did. Finally, let’s talk about Spencer, who I feel sort of earned back her “smart one” title. She was the only one who didn't just automatically want the tracking chip out of her but she recognized that this is the one advantage they have over Charles. However, I wonder how they’re so sure that A doesn't know about them knowing. If they're being tracked, than A would know they were at the lab and could easily assume that they had discovered what he was doing. Also, Toby’s back, which means we were treated to some Spoby scenes. I’m not a fan, they really are the weakest couple of the bunch. At one point, one of them actually said, “we don't do secrets”…umm yes you do! That’s literally been their whole relationship, up to and including the whole first half of this episode! For example, Spencer finally brings him in the loop half way though and he’s actually 6 episodes behind us. He doesn’t even know about Charles! Of course, she has to beg him to even listen to her because he doesn't have time for her as usual - he needs to go be a cop. Once she explains the plan, Toby takes it upon himself to go and take care of everything alone and promises there’s not going to be any fallout… ok, but this is Pretty Little Liars so of course there will be fallout, and plenty of it! Sure enough, Toby ends up taking the bag of pot gummies that girl from the coffee shop put in Spencer’s bag and eats them. Toby is so high when everything goes down with Charles that he’s totally useless and their plan falls apart. They were so close but in the end their downfall was Spoby’s weak relationship. Spencer even acknowledges she should have told him she was having problems but they don’t communicate at all (Toby’s barely on the show anymore!) and now it’s really cost them. As usual, Emily’s storyline is practically entirely separate from the other girls and entirely centered around Sara. Sara’s personality always feels like an act to me. And I can’t figure out if it’s intentional or just poor acting. After this episode, I feel like it’s intentional. Introducing Sara’s old friend reminded me that she’s not supposed to be some innocent victim. Maybe being in the dollhouse changed her but before all that she was just like Alison, manipulative and mean to her friends. We got a bit of a glimpse into that during last night’s episode. When Sarah opted to go stay with her friend and leave Emily’s house, she could tell that Emily wasn’t too happy with that idea so she convinced her by saying that if she didn't live there they could go on dates, etc. and be more normal. They could still do all that stuff with her living with Emily. She also sidetracked her with kissing immediately. 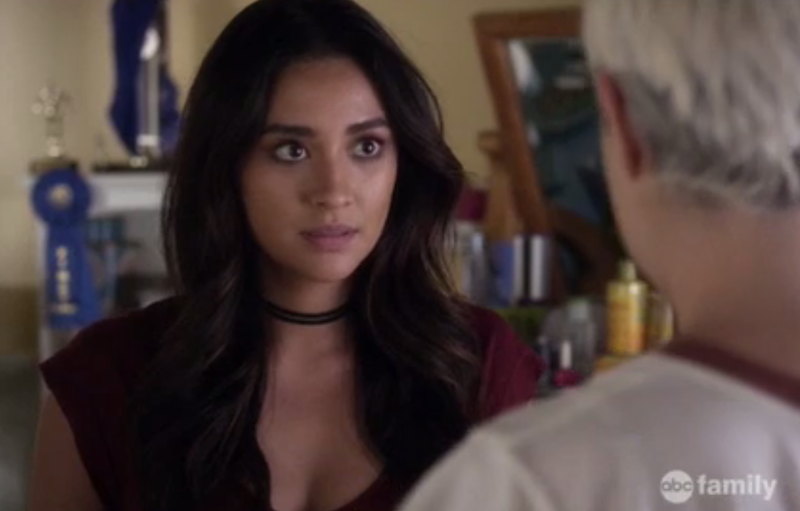 In that moment I really saw her resemblance to the old Alison and I’m worried about Emily. She’s getting really attached to Sarah and I think it’s going to end up just being a bunch of false promises. Overall, they wasted a chance at catching A and wasted their no-chip advantage. But, in typical PLL fashion, they saved the biggest clues for the final moments. Jason and Alison discovered a video A played for them. 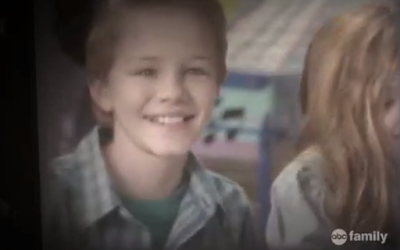 In the video, Jason and Alison are playing with a little boy named Freddie. At the time, they were told that it was a birthday party for their “second cousin” but I’m definitely thinking this is Charles. The video references Freddie not wanting to go back to someplace, I’m thinking Radley, and Jason and Alison were secretly pulled out of school. So, I guess at one point, Charles was called Freddie in order to hide his identity from Jason and Alison. I’m not sure exactly what this tells us but at the very end we see A receive a birthday present from “Your friend and Ally” and it’s a still picture from that same video. I don’t know quite what to make of this video right now but I’m sure it will be thoroughly dissected next week. What did you think of this episode? Can you believe they came so close only to fail? What are your thoughts and theories about "Freddie"? Let me know in the comments! Thanks for reading and see you next week!